The henchmen trio (Lee Min Ho, Jung Suk Won and Choi Woo Sik) of Lee Gak (Park Yoochun) once again dedicated the laughter to everyone. 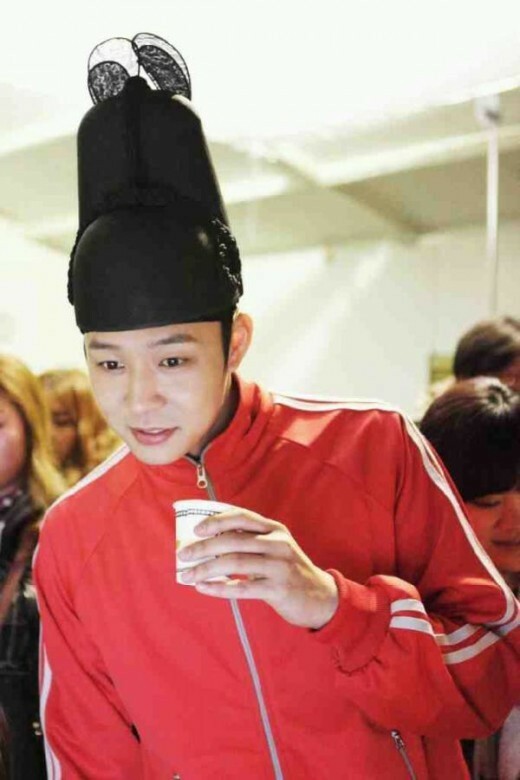 In the episode 16 of SBS series “Rooftop Prince” aired on May 10th, 2012, Lee Gak returns as the character of Yong Tae Yong (Park Yoochun) with informing Park Ha (Han Ji Min), and began to close in on Yong Tae Mu (Lee Tae Sung). This restrains Lee Gak’s men Song Man Bo (Lee Min Ho), Woo Yong Sul (Jung Suk Won) and Do Chi San (Choi Woo Sik). If they’re together, the lie of Lee Gak will be exposed, as such they could only stay at home. In the second half, they increasingly began to adapt to reality, and to get rid of tracking, Lee Gak and Park Ha join together to play a good trick. Therefore, they can get rid of the label of human Beagle. But they who are locked up for a long time at home, they return to the face of original Beagle again. They who hidden secretly ask Lee Gak with a cautious attitude, “Do you been follow on the way home?” But then when they heard the pizza, the nervous look disappears at once. Lee Gak stretches out his hand towards the pizza, but is coldly rejected by them. 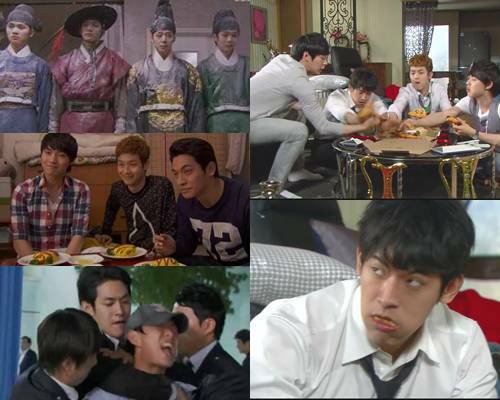 Hungry Lee Gak and confidants have an argument, causing the pizza of Woo Yong Sul to drop. Woo Yong Sul says to His Majesty, “Ah, really!” Really angry like this makes them very hilarious. On the other hand, viewers is paying attention to future plot development of human Beagle henchmen trio who is hidden at thome.